Pick up from airport in Surabay and visit House of Sampoerna in "old Surabaya", which is a Museum and one of the oldest working factory of hand-rolled Kretek cigarettes made of tobacco and cloves. After that visit of Klenteng Hong Tiek Hian Tempel where 3 religions pray at the same place and than visit of Cheng Ho Mosque known for its unique Chinese architecture . After this small city tour in Surabaya drive (approx. 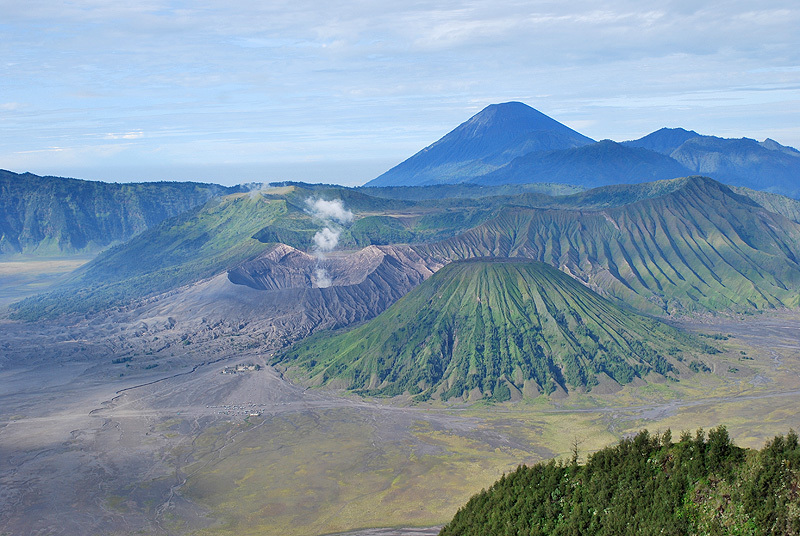 3-4 hours) to Volcano Bromo. 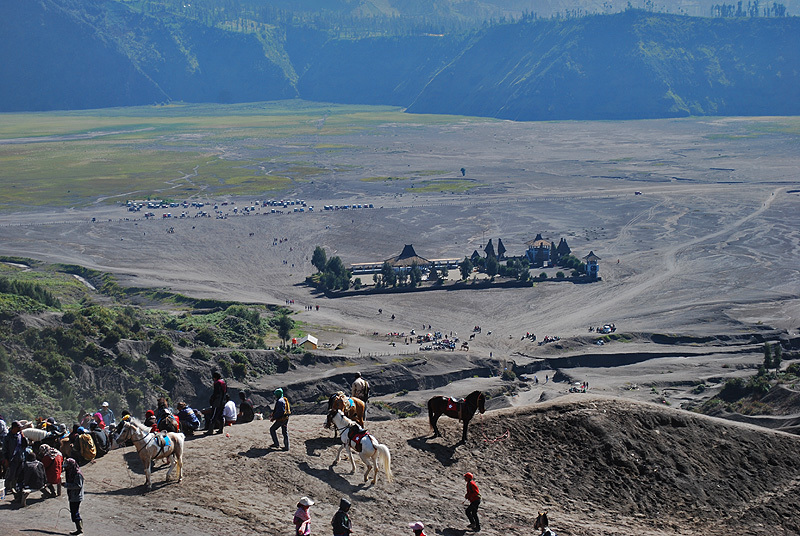 The landscape in the surroundings of Bromo is characterized by plantations of vegetables, which are also located on steep slopes. On the volcanic soil and in mild climate there are many types of vegetables growing here. Accommodation in comfortable, scenic and quiet located Jiwa Jawa Resort Bromo outside of the touristic and not particularly attractive Cemoro Lawang village. Unfortunately, the view point at sunrise is very crowded. 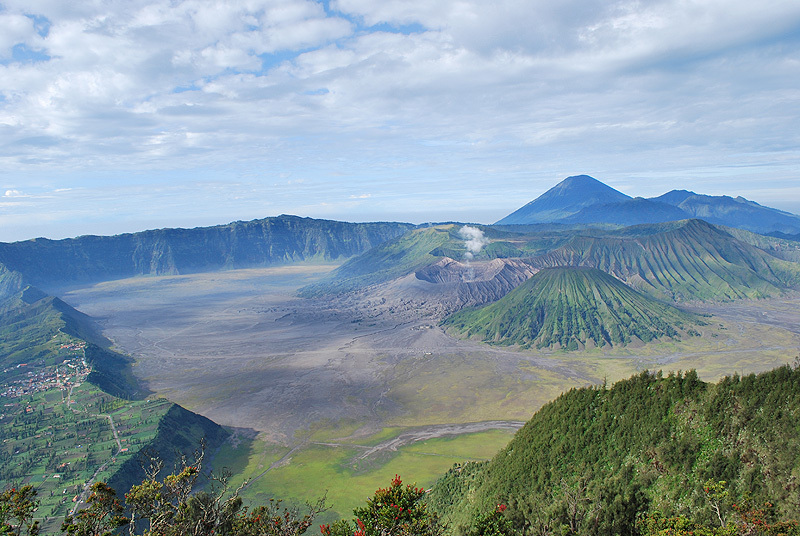 If you like to share the view with just a few people you can start the tour also later or first go to Bromo crater and then to the viewpoint. 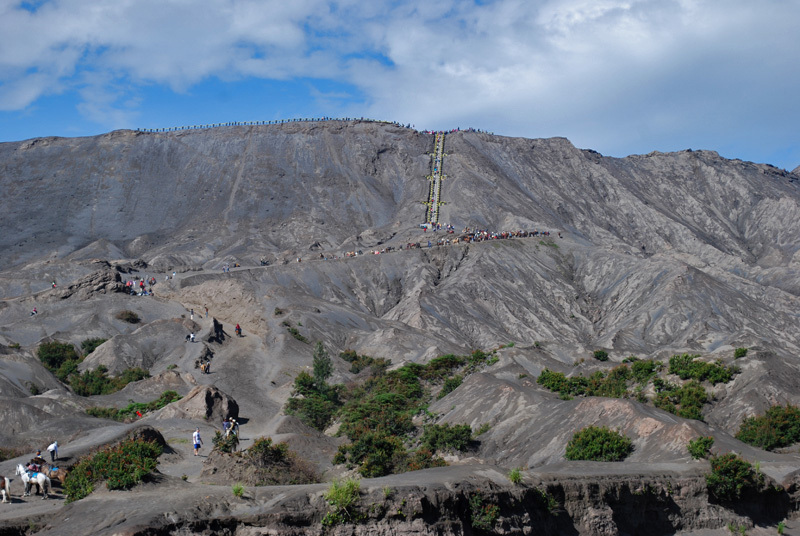 Planing your travel try to avoid weekends and Indonesian holidays, because at this days the rush of visitors to Bromo is particularly high.